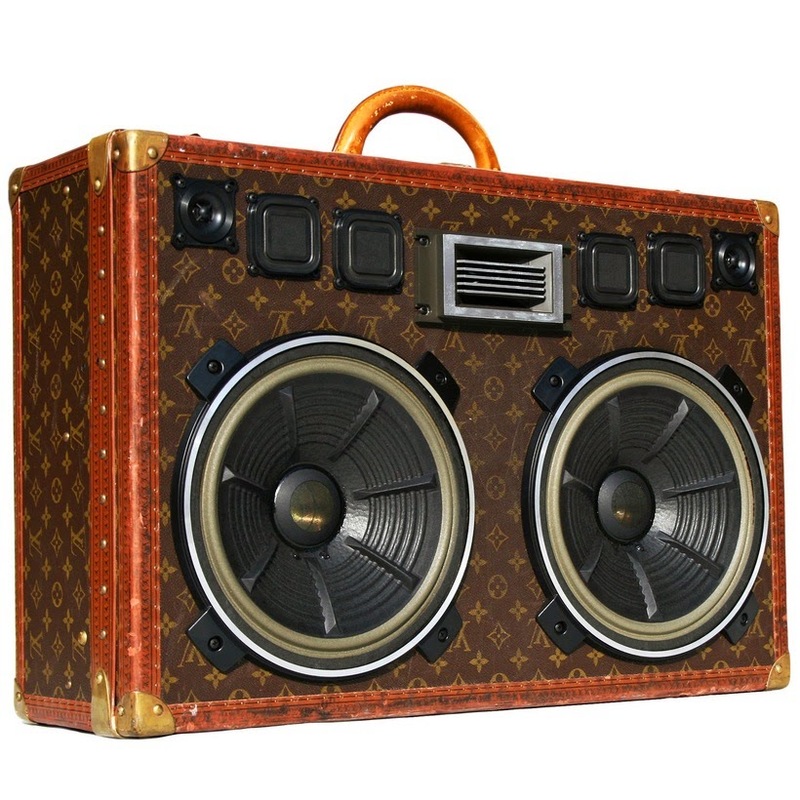 The Original Rechargeable Vintage Suitcase BoomBox. The BoomCase works with any device with a headphone output. Simply plug your phone, iPhone,iPod,computer etc. into the BoomCase AUX port and play your music for over 18 hours on a single charge. We also offer Bluetooth Connectivity for wireless play! Louis The Great Vintage Louis Vuitton "Bisten 60" Suitcase Turned BoomCase. Featuring 400 Watts of Power and a Rare Set of 12" Woofers by TRIO (Made in Japan) + Vintage Horn. New Mid Range Speakers and Tweeters.